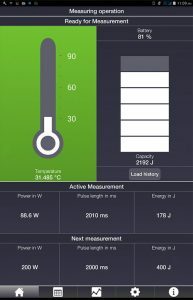 Cube - Laser Beam Diagnostics - Laser Mechanisms, Inc. 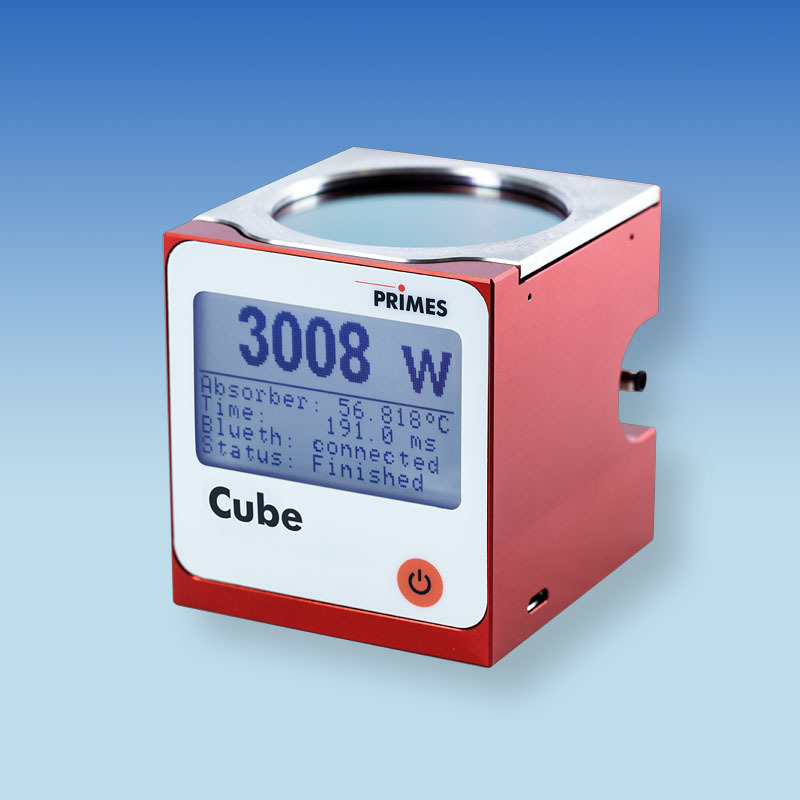 The PRIMES Cube is designed for power measurements of solid state lasers. In the processing zone, laser power is one of the key parameters for the result of laser materials processing. A loss of power can lead to serious quality issues of the processed part. This is why laser power must be measured directly in or near the processing zone. The Cube, as a mobile and compact power probe, enables the determination of laser power directly beneath the processing head in the processing zone. 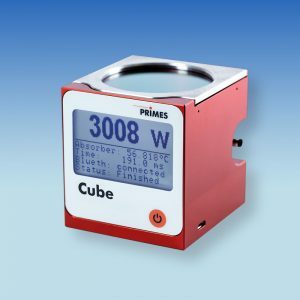 Using the Bluetooth connection with the PRIMES Cube, a convenient monitoring of the laser power with a mobile device like tablet or smartphone for Android™ is possible. Aside from the graphic display and backup of the measured values stored in the Cube, it is possible to define presets for measurement series and transfer them to the Cube using the Bluetooth connection. 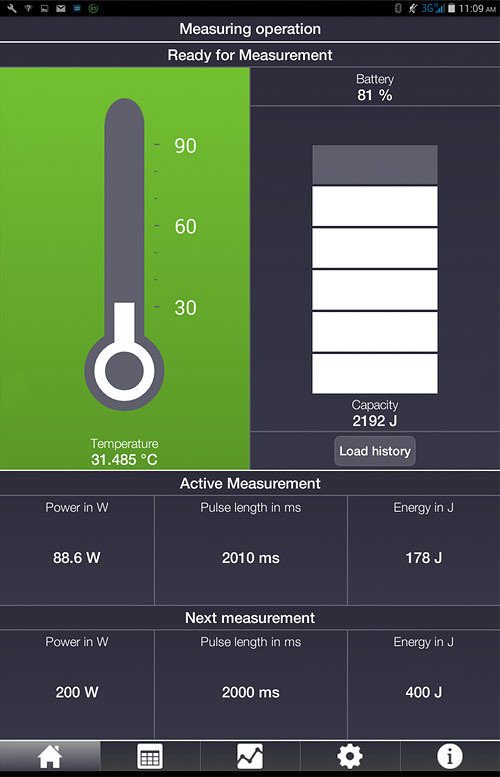 The readings laser power, pulse duration and energy per pulse can be displayed graphically on the mobile device. In addition, a standard deviation evaluation of the measured values is possible with the PRIMES Cube App. The PRIMES Cube App is available in the Google Play Store as a free download. The absorber of the calorimetric measurement system is irradiated by a laser for a short period of time. The temperature difference of the absorber between start and finish of the laser pulse is measured. From the temperature rise, the microprocessor based electronics is able to calculate laser power to a high degree of accuracy. An interlock signal is provided in order to turn off the laser beam emission, should the absorber overheat. The usage of this signal is strongly recommended. The Cube measures the incident laser energy and the irradiation time. The calculated laser power has an accuracy of ± 3 %, with a repeatability of ± 1 %. The typical working temperature range of the Cube lies between +15° C and +40° C.
Laser power and irradiation time stand in direct relationship for the measurement.